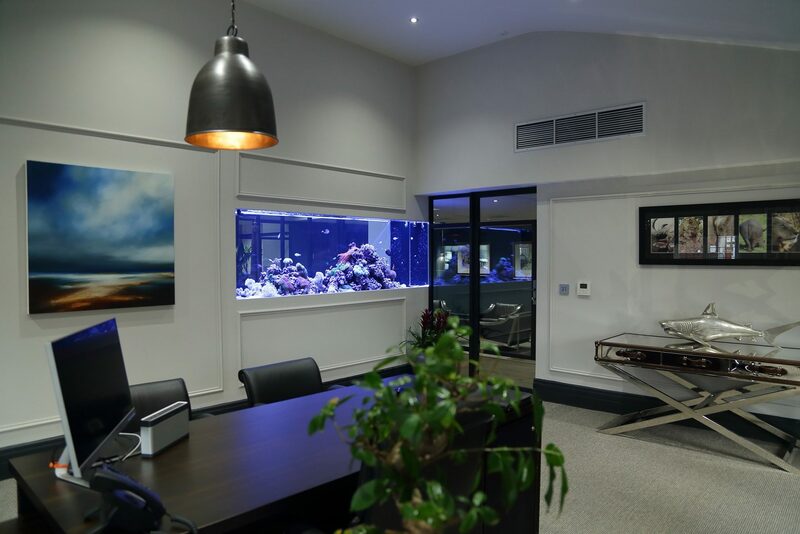 A built in wall, room divider aquarium located in newly refurbished offices in Altrincham, Cheshire. A recent commission to provide a short term event fish tank hire for a 2 day ‘pop up’ event to raise awareness of Thomas Cooks recent launch of a direct flight from Manchester to Tobago. This event was to take place within one of the open malls at Manchester’s Trafford Centre. 900 litre tropical in wall aquarium housing live plants. 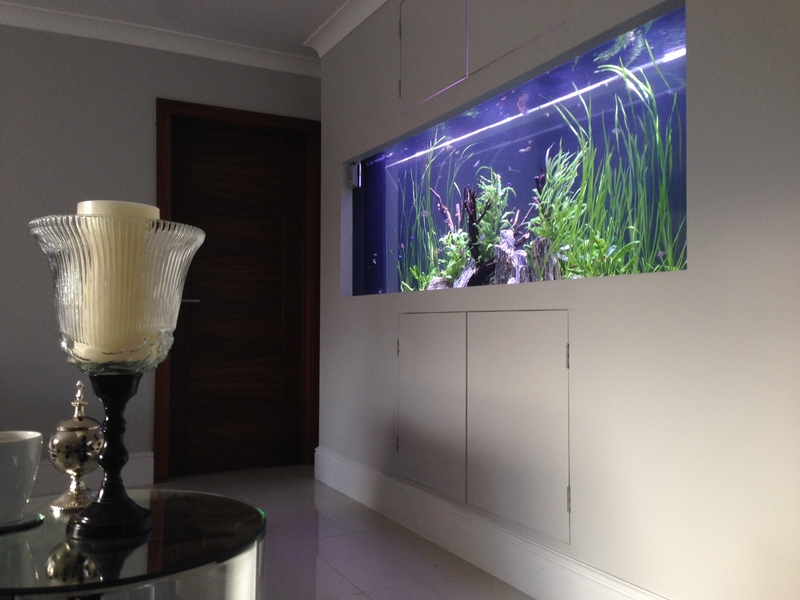 Recent completion build of a custom room dividing wall fish tank. 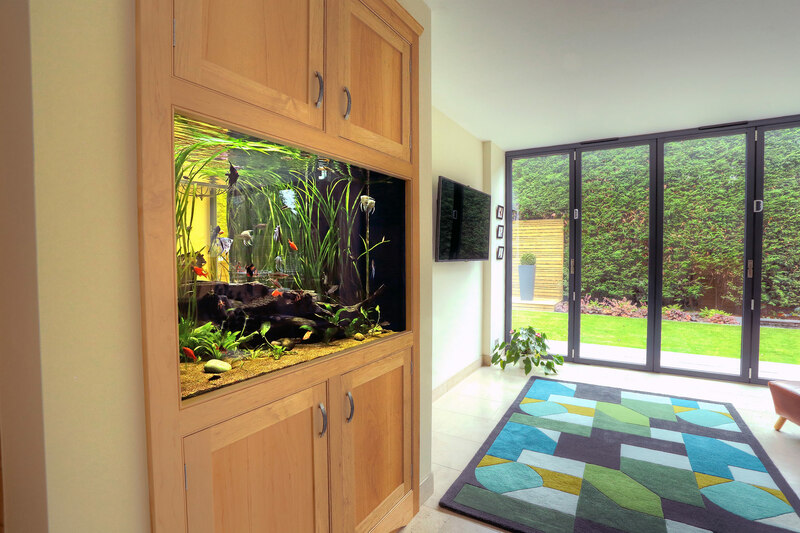 This wall aquarium is installed in Warrington, Cheshire. 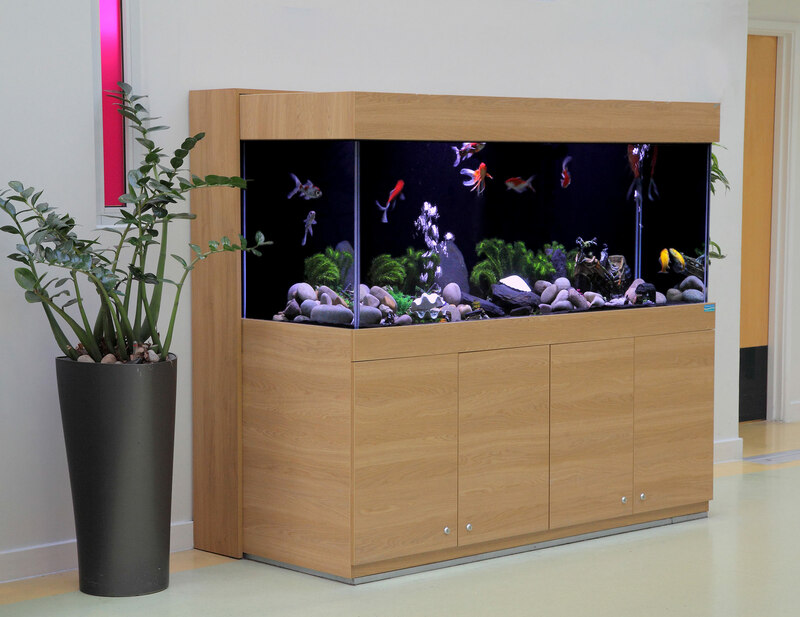 Freestanding goldfish themed aquarium in a Manchester children’s hospital. 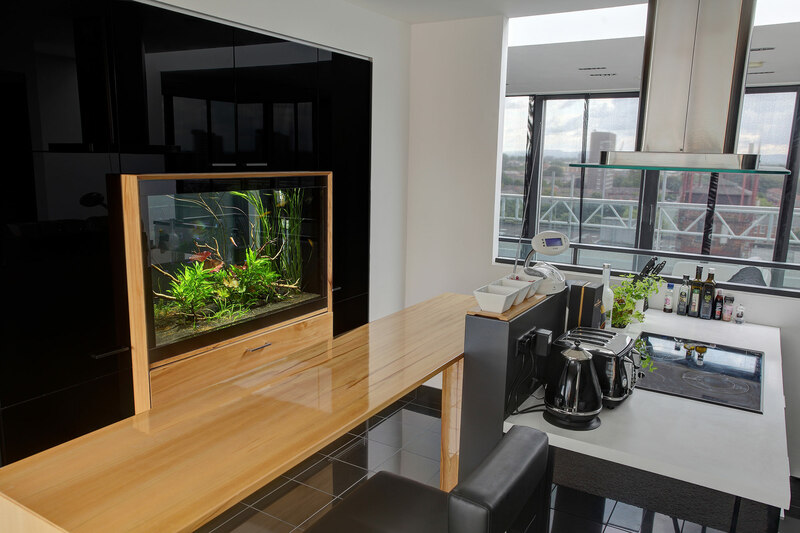 A 750 litre custom fish tank and cabinet housing goldfish with a natural theme. In wall reef aquarium in London. 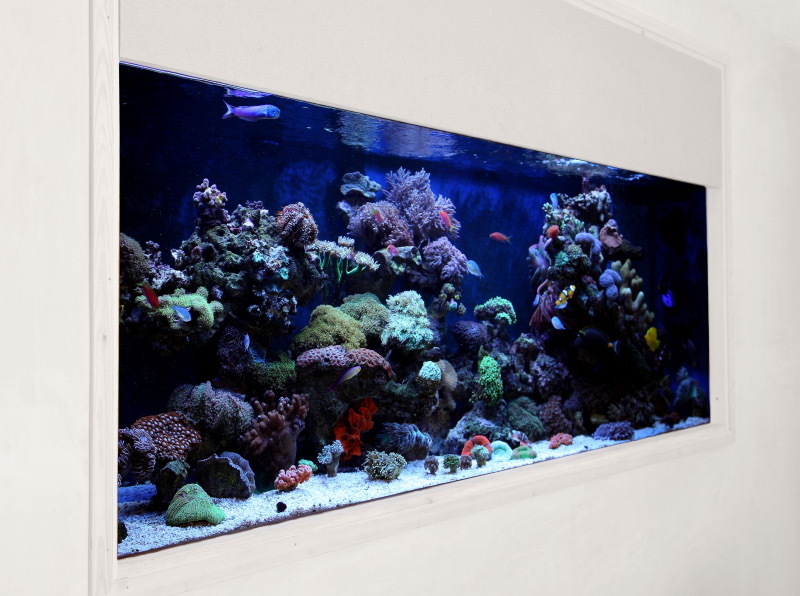 A 1700 litre bespoke tank stocked with a variety of marine fish and live corals. 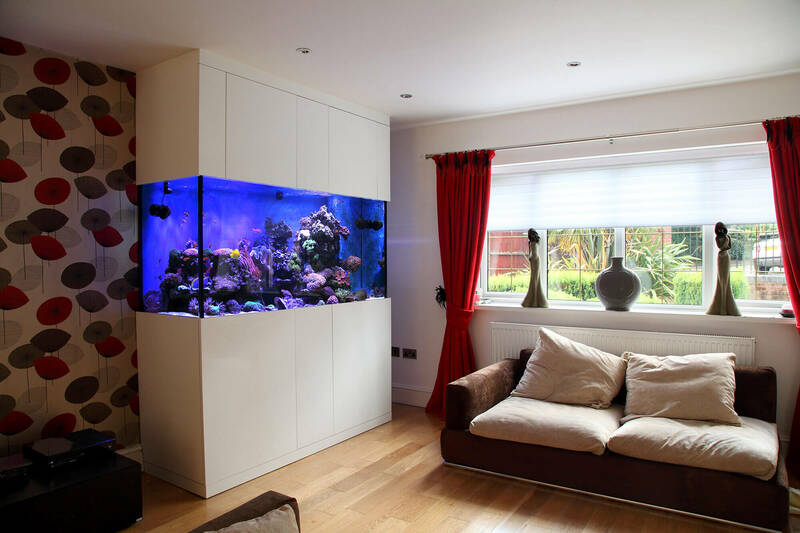 Freestanding marine reef aquarium in Greater Manchester. An 800 litre custom tank housing colourful live corals and fish. Room divider aquarium in city centre Manchester. A 550 litre freshwater tropical tank aqua-scaped with driftwood and live plants. In wall marine aquarium in Cheshire. 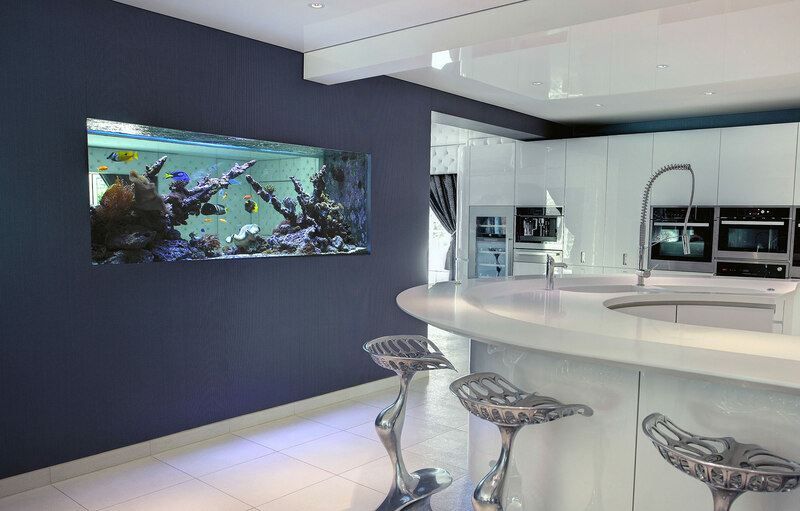 An 1100 litre bespoke marine aquarium complete with custom coral structure and marine fish. 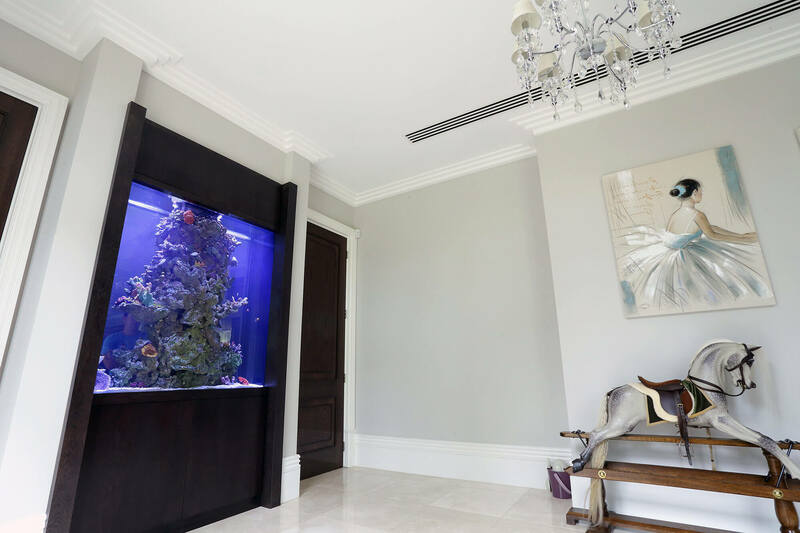 A 1500 litre custom built in wall aquarium containing a wide variety of tropical fish and live plants.